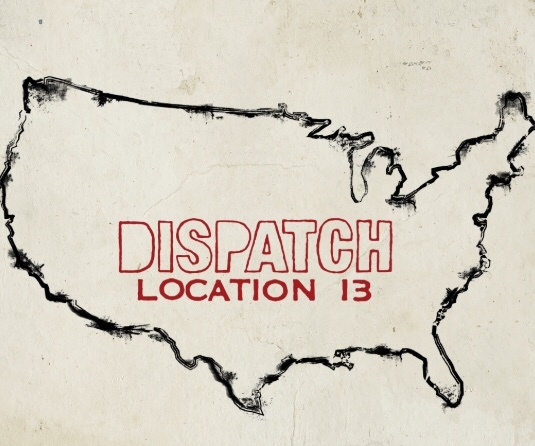 There is a soft spot in my heart for Dispatch, given that the indie band made the rounds in my college, and since they’re still playing to sold out crowds, their new song is worth mentioning. With their first album in five years. ‘America, Location 12,’ they will be releasing a special song every couple of weeks throughout the summer and the collection will culminate as one bundle after the last song is out later this year. Listen to their latest release below, and catch them on tour soon. Let me begin this post by assuring my readers that at one point in my life, I was a massive fan of Maroon 5. In fact, I’d say I was one of their first, and my love began when Adam Levine stood front and center on ‘Last Call with Carson Daly’ to debut ‘Songs About Jane,’ their first record. That album was almost entirely written by Adam Levine and Jesse Carmichael, the latter of which is the band’s pianist and rhythm guitarist. The two also almost exclusively wrote the band’s second album, ‘It Won’t Be Soon Before Long,’ which was also a success. But in 2010, everything changed. They released ‘Hands All Over,’ which debuted far below expectations. This was especially surprising given that it was produced by legendary veteran Mutt Lange. In an interview with Howard Stern, Levine referenced a rift with Lange while making the album, implying that once they worked out their differences, it was smooth sailing. Did Levine tie Mutt’s hands, thereby hindering the creative process, or did the two simply not get along — and the resulting album reflected their rancor? It’s hard to say and sometimes things just don’t land, but the experience seemed to have hit Levine hard given that for their next three albums, ‘Overexposed,’ ‘V,’ and ‘Red Pill Blues,’ Maroon 5 opened their doors to a daunting amount of songwriters outside their band. Was that the right decision? Perhaps. I certainly enjoyed those records. But I cannot help but think when you employ the industry’s heaviest hitters to keep you relevant, you move from a bunch of friends in their garage doing what they love to a group of guys trying to be famous no matter what the creative cost. When I arrived at The Forum to see Maroon 5 live, I had an open mind. I promise. As soon as Adam began singing, I noticed his live vocals seemed far too low for the venue, which I first blamed on the front of house engineer. Then my friend asked if he was lip-syncing, and it was as if my mother just confessed Santa isn’t real (I’m Jewish — but you get the point). “It’s far too perfect,” she said. Later, when it felt as if he was in fact singing live, the vocals sounded astoundingly different. Though I have no direct confirmation that Levine lip-synced, I’ll say that I pay a hefty ticket price for a reason, and if Sheryl Crow can give an incredible performance at The Greek with a cold and cracked voice, Levine can sing that entire concert live. But let’s assume he sang live, for argument’s sake. It’s no secret that Adam Levine is often the target of “haters.” Though celebrities will always deal with negative press, these types of attacks start from somewhere. Even Jonah Hill (a longtime friend of Levine) told Howard Stern that though Levine gets a bad reputation, he’s an extremely kind, genuine guy. So why the misconception? For starters, Levine seems arrogant. Why? Because he took the stage in sweatpants (literally), a wife-beater, and sneakers. This is a far cry from the suits the band was known for wearing during their rise, and it’s not acceptable for a grocery store run let alone the stage at The Forum. 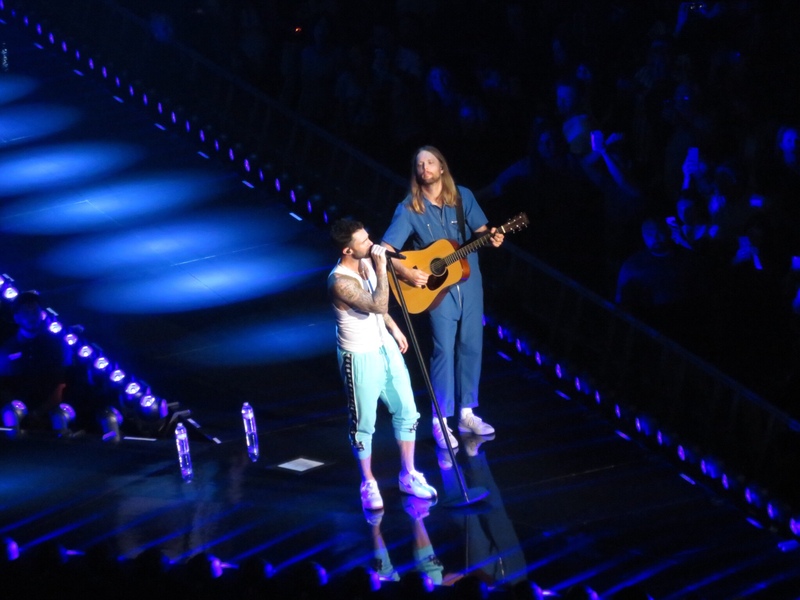 It’s as if Levine is so hot he’d look good in anything, and so famous he can’t be bothered to forgo his pajamas while performing. At one point he even took a swipe at James Valentine’s (lead guitarist) jumpsuit, which was actually damn cool. In fact, Valentine was the best part of the show, given that the man seemed to purely want to play his instrument, rather than artificially hamming it up for the audience. Speaking of hamming it up, Levine did this in all the wrong places. For starters, he almost exclusively played downstage right, despite having an underutilized stage (in the shape of a “V”) in the center of the audience. When he sang “She Will Be Loved” beside Valentine for the encore while standing on the unique stage mid-audience, it provided a rare authentic moment that could have been duplicated throughout the show to provide a more dynamic experience, rather than a light-assault akin to a South Beach club. Sit on a stool and sing a ballad, or do anything other than burn through your material while barely addressing the audience. I’m not there to see you hit the play button on your record and call it a concert. Speaking of which, I’d have loved to see more of the Maroon 5 band, but because of the on-stage setup, they were basically hidden like Hollywood Squares. Okay — I’ll stop now. I seem angry. It’s hard to believe I have not heard of Sam Lewis, especially since he’s connected to The Wood Brothers (an all-time favorite band of mine). Oliver Wood of The Wood Brothers acted as producer on his second album, ‘Waiting on You,’ which he released in April, 2015. It featured Kenny Vaughan, in addition to Darrell Scott, Gabe Dixon, the McCrary Sisters, and Willie Nelson’s legendary harmonica player, Mickey Raphael. And if that’s not enough, he opened for Chris Stapleton during Stapleton’s tour for his Grammy-Willing ‘Traveler’ album. Three years have since passed, and he’s returned with ‘Loversity,’ which landed him on Rolling Stone’s “10 Artists to Watch” list. Listen below. 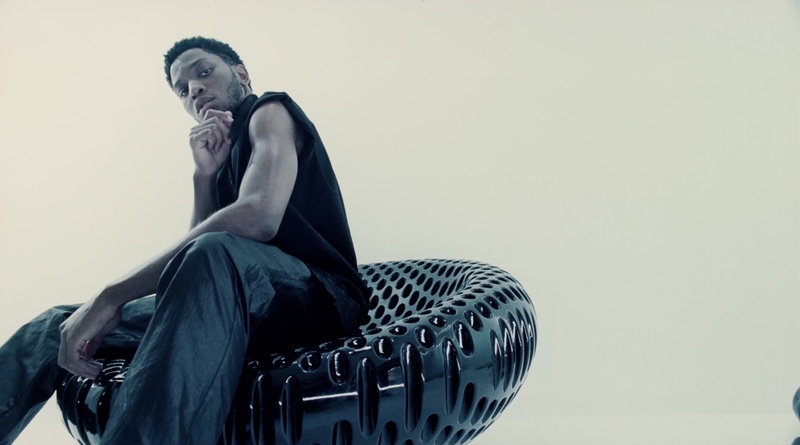 On the heels of his upcoming headline tour, Gallant has released his new video for “Doesn’t Matter,” and the result is spectacular. You might remember Gallant from his duet with Seal, where the two vocal titans sang “Weight in Gold” in one of the most stunning performances I’ve seen in some time. The song first dropped on Beats 1’s first “World Exclusive,” via tastemaker Zane Lowe. Christopher Gallant is a Columbia native who graduated from NYU, and his debut studio album, ‘Ology,’ was released worldwide in 2016. That followed his self-released 2014 EP, ‘Zebra.’ His popular ‘In The Room‘ series is also not to be missed. See his new video below and scroll down for tour dates. 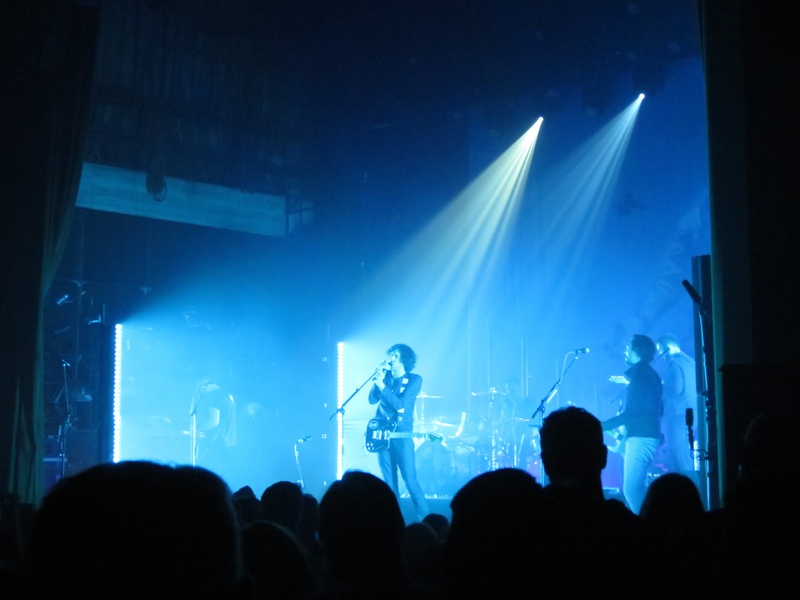 It’s been seven years since Snow Patrol released a new album, and on May 25, the Gary Lightbody led Northern Irish rock band will release ‘Wildness,’ and since one song is better than the next, I predict it will resonate with their loyal fan base. Lightbody took the stage of The Fonda alongside Nathan Connolly (guitar, backing vocals), Paul Wilson (bass guitar, backing vocals), Jonny Quinn (drums), and Johnny McDaid (piano, guitar, backing vocals) to play to a packed house. You might know Johnny McDaid as one of the powerful co-writing forces behind Ed Sheeran, P!nk, Robbie Williams, and more. McDaid is also the man who hilariously gave Lightbody an assist on stage that night, when Lightbody struggled to remember some lyrics, making for an enjoyable human connection with his fans. I was personally introduced to Snow Patrol via ‘Grey’s Anatomy,’ when the second single from their fourth studio album, “Chasing Cars,” became a massive success. The band would either be incredibly happy or incredibly annoyed to hear that, but I predict the latter. “Chasing Cars” spent 85 weeks on the UK charts, and though Lightbody feared that “the song could become bigger than the band” it’s clear from the devoted crowd that that is far from the truth. For a band that “spent ten years making records that 6,000 people bought,” according to Lightbody, it’s no secret why they take nothing for granted, and even when Lightbody boasted their new album being “f***ing great,” it was more a funny acknowledgment of a factual truth then a rock star’s masturbatory boast. Listen to two songs off the new record below. For a duet to work, both singers must not only compliment one another, but their fusion must outweigh their solo skill set. 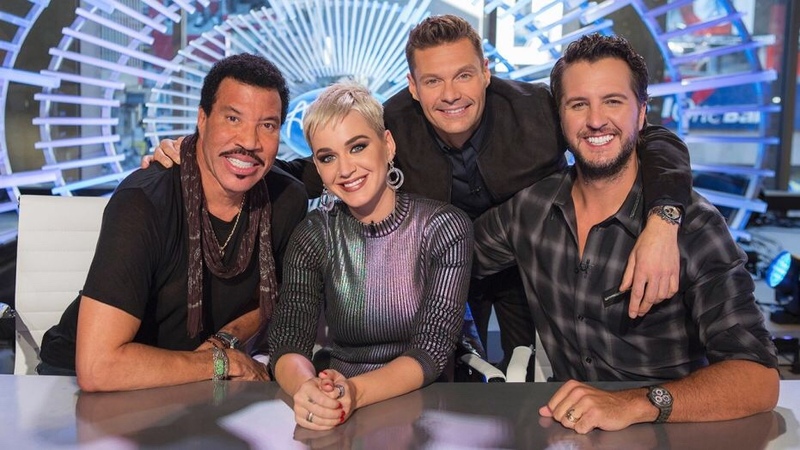 For most of the performers during American Idol’s duet week, that was not the case. To be fair, I can’t think of one person who would duet with Jennifer Nettles, given the incredibly unique tone of her voice, but Gabby Berrett and the adorable Layla Spring get an A+ for effort. And Nettles’ standout style choices certainly did not help facilitate a shared spotlight. Having said all that, Catie Turner won the night during her duet with Andy Grammer. The endearingly awkward singer somehow managed to put all that angst aside while performing, having made very confident vocal choices that actually upped Grammer’s game. In fact, he might have benefited far more from that performance than she did. Could Catie actually make a career out of this? It’s possible. She’s like a joyful version of Brett Dennen, and I think there’s a space for her in this industry. Watch below to see some of the more memorable performances, including Allen Stone, whose voice is so good it physically hurts my soul. Dennis Lorenzo gets major kudos for keeping up. Did Taylor Swift Rip Off Spike Jonze? 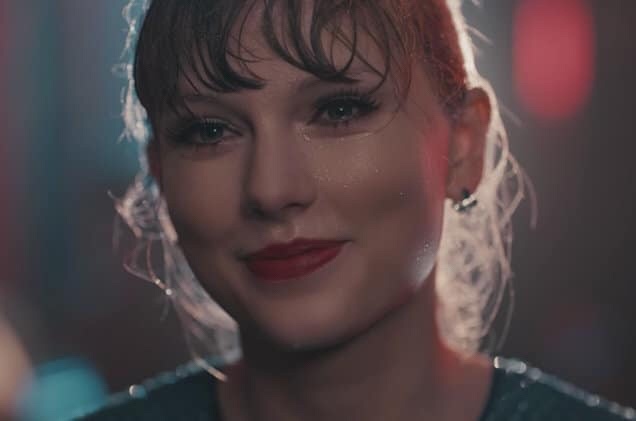 It’s no surprise that Taylor Swift took a different, “aw shucks” approach to her new “Delicate” video given that her team drastically miscalculated the direction for ‘Reputation.’ Though the record amassed huge sales, it did not enter the same zeitgeist as her previous releases, and it might have even further damaged her many PR problems. Plus, the songs were not good. I hate to be so blunt, but those are the facts. A good song could have fought her way out of the paper bag she built for herself, but that’s simply not the case. It’s been brought to my attention via the sleuthing social-media-sphere that Swift’s video overtly overlaps with a Kenzo perfume ad directed by Spike Jonze. I watched both, and there are clear similarities. Of more interest than the possible rip-off; however, is the revelation of what the “Delicate” video was supposed to be. Upon first viewing, it seemed like unintentionally poor dance moves and hard-to-view funny faces. It wasn’t over-the-top enough to emphasize it’s awkward-girl tone so it only served to make me uncomfortable. Had the production team taken it up to the same notch as the Kenzo video, perhaps I would not have been as confused. The other glaring error here is that the video does NOT represent the song’s actual meaning. This is a song about liking a boy in the first, delicate stages of the relationship when we fear we might mess it up or that our reputation could influence his feelings. It’s not about being the awkward outsider at a party. Now for the larger question. Does it matter that Swift’s video is may be a rip-off? It didn’t seem to matter when Beyonce ripped off Bob Fosse’s choreography for “Single Ladies,” and it also didn’t seem to matter when Beyonce lifted the choreography of Italian singer Lorella Cuccarini’s live performance at the 2011 Billboard Music Awards while performing “Run the World (Girls).” But it matters for Taylor Swift. Why? Because Swift has no PR capital left to spare. Her nice-girl demeanor was destroyed when Kim Kardashian exposed her lies about the Kanye West feud, and it certainly didn’t help when she ran off with Tom Hiddleston on the heels of a messy breakup from Calvin Harris. Though men often get the pass women do not with these types of trysts, there was too much existing damage to salvage such a choice. Her record could have resurrected her image with contrition, but her team advised her to take the opposite, “Look What You Made Me Do” direction, which was a massive misstep. Watch both below and decide for yourself. Author The DishmasterPosted on March 13, 2018 November 13, 2018 Categories General, MusicTags Award Shows, Beyoncé Knowles, Celebrity Breakups, Kanye West, Kim Kardashian, Taylor SwiftLeave a comment on Did Taylor Swift Rip Off Spike Jonze? Betty Who wants you to ignore her, and judging from her latest single, that won’t happen. The Australian singer-songwriter born as Jessica Anne Newham is just 26, and though she’s a trained Cellist, she also taught herself the piano and guitar. Listen to “Ignore Me” below, and check out her last album, ‘The Valley,’ when you get the chance. Most people watch television show trailers for the story. I watch it for the music. While tuning into ‘The Looming Tower,’ starring the immensely talented Jeff Daniels on HULU, I noticed the drum-heavy track playing in the background, courtesy of Ruelle. So who exactly is the elusive Ruelle? At just 32, Margaret “Maggie” Eckford or “Ruelle” has made some seriously good music, which most recently includes ‘Rival,’ an album that houses the track by the same name from the trailer. The show itself is based on the Pulitzer Prize winning book that traces the threat of Osama Bin Laden and Al-Qaeda in the late 1990s and how the rivalry between the FBI and CIA may have set the path for 9/11. It’s certainly no surprise that Ruelle’s music has made it to the screen considering its cinematic style. Some of her credits include, How to Get Away with Murder, The Leftovers, The Originals, Pretty Little Liars, and The Walking Dead. Listen below. On Friday, February 9, 2018, the soundtrack for Black Panther dropped in anticipation of the the upcoming Friday release for the much buzzed about film. It’s what you’d expect from Kendrick Lamar, which means it’s brilliant. As an elite curator of the music business’ best, Lamar’s name goes hand-in-hand with what I can only hope is a cultural shift to a more diverse, creative cinema space. Black Panther is about empowerment, and no one represents empowerment better than Kendrick Lamar. The soundtrack is produced by Top Dawn Entertainment and Kendrick Lamar, with some brilliant collaborations, including SZA, The Weeknd, ScHoolboy Q, 2 Chainz, Ab-Soul, Future, Zacari, Vince Staples, Anderson.Paak, Mozzy, Babes Wodumo, SOB x RBE and South African vocalist Sjava singing in Zulu. The movie follows T’Challa, who returns home to Wakanda following the death of his father, who was King. He succeeds the throne of the isolated, technologically advanced African nation, but when a powerful old enemy reappears, the fate of Wakanda and the entire world at risk. The young king must rally his allies and release the full power of Black Panther to defeat his foes and secure the safety of his people. Black Panther stars Chadwick Boseman, Michael B. Jordan, Lupita Nyong’o, Danai Gurira, Martin Freeman, Daniel Kaluuya, Letitia Wright, Winston Duke, with Angela Bassett, with Forest Whitaker, and Andy Serkis. The film is directed by Ryan Coogler, who also wrote the screenplay with Joe Robert Cole. According to Ryan Coogler, he originally envisioned Kendrick Lamar contributing a few songs to the soundtrack, but when Lamar viewed the film, he wanted to create the entire album. To stream the record, click HERE.